Their faces show a particular grimness, even ashen quality, upon realizing there are no legal options to criminally charge the owner of a pit bull after his dog savagely rips the throat out of a child. 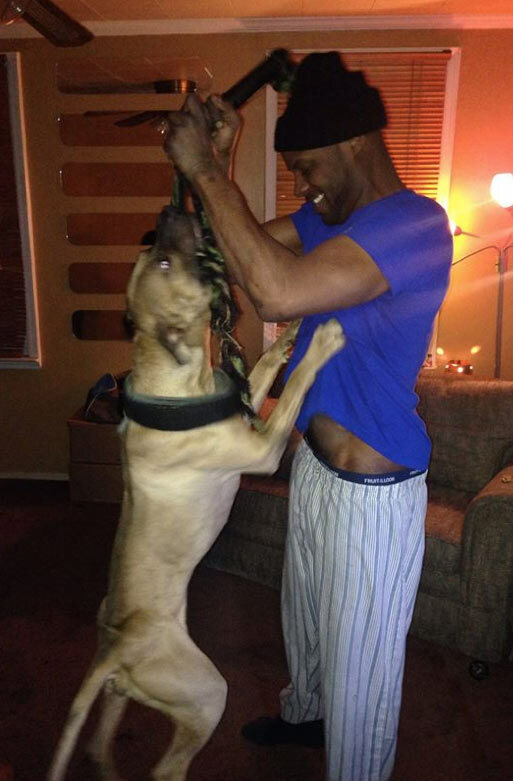 The photograph of the owner with his pit bull wearing a weighted collar clenching down on bite strengthening equipment is moot. Nassau County DA Madeline Singas explains why this pit bull and many others have carte blanche to murder innocent American children — the law says it is okay, as long as it is the “first” attack. What this statement means is that it is difficult to bring criminal charges without documentation that the pit bull had previously inflicted an attack causing serious injuries, then was legally deemed a “dangerous dog” (or the owner otherwise had painfully clear knowledge of dog’s vicious propensities), then it attacked again, executing the killing bite, taking the life of a child. That is the evidence needed to effectively charge Carlyle Arnold, the owner of the pit bull that brutally attacked and killed 9-year old Amiyah Dunston. The desperate state of broken criminal laws across America regarding severe and fatal pit bull mauling injuries is chilling. Why is this still true after 30-years of appellate court rulings upholding pit bull laws, and in many cases, declaring the extreme dangerousness of the breed? Horrific pit bull injuries are backed up by peer-reviewed medical studies starting in 1988 as well. How many more rulings and studies are needed? Defeated Prosecutor Syndrome will continue until criminal laws reflect the reality of a “first” attack by a pit bull. First attacks by pit bulls often permanently disfigure and maim, and in some cases result in death. If the UK can develop substantial criminal penalties for on property violent “first” attacks, allowing your dog to injure someone, than so can states within the US! Amiyah Dunston, 9-years old, brutally attacked and killed by a pit bull.